Scoop up the latest Friendly’s menu prices. 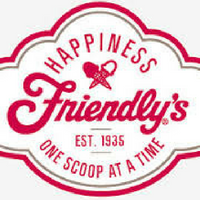 In 1935, two young brothers named Prestly and Curtis Blake (20 and 18 years old respectively) opened an ice cream shoppe in Springfield, Massachusetts and called it Friendly’s. What started as an ice cream shoppe offering friendly service and handcrafted ice cream has become a full-service restaurant offering customers breakfast, lunch, and dinner. Of course, everything is always served with a large helping of Friendly service. Below are the latest Friendly’s menu prices. Fans of Friendly’s can sign up and join the BFF Club to receive special perks. As a Friendly’s BFF, guests enjoy 25% on their next visit, receive weekly promotions and deals, and free birthday sundaes. Signing up only requires a few minutes and an email address. Friendly’s sells a lot of ice cream all over the country. They offer 49 different ice cream flavors, and in 2014 alone they produced more than 52 million cartons of ice cream. That’s 3½ cartons of ice cream produced per second. But the ice cream may be best enjoyed in a real Friendly’s ice cream shoppe. They’re not exactly hard to find, however, as they’re located all over the country. They can be found near football stadiums and town centers so customers can enjoy their delightful treats. And since ice cream is also great as a dessert, you can now enjoy delicious fast food meals in every Friendly’s restaurant. There are so more excellent additions to the menu, but the traditional favorites are always available. These include the signature SuperMelt Sandwiches along with the made-to-order Friendly’s Big Beef Burgers. Grab a snack or a full meal, and end your meal with a sundae or an ice cream. If you’ve already tried this experience, then you know: It’s one of the most genuinely memorable epicurean feelings ever. For more information about Friendly’s, visit their official website. Yes, Friendly’s does serve breakfast. If guests visit Friendly’s during breakfast hours, breakfast items are 50% off. Monday – Friday only. Can Friendly’s ice cream be purchased at the grocery store? Yes, many of Friendly’s ice cream flavors can be found in grocery store freezers across the U.S.